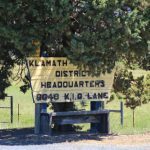 The Klamath Irrigation District finally received its final bill New York City attorney Lawrence Kogan, according to an August 31 Herald and News article titled “Outside counsel costs KID $128,500“. In the article, Gerry O’Brien reports that through a request for information filed by the Herald and News, the bill for Mr. Kogan’s services from May 1st through July 14th was $70,000. That plus the previous invoice for $58,500 brings the final total to $128,500. Though hired to negotiate the C Canal Flume contract, not a word of the contract was changed through Mr. Kogan’s “specialized guidance”. The latest of Kogan’s bills include meals and travel expenses, such as airline tickets and long-term parking. Kogan’s hourly rate is $250 per hour. 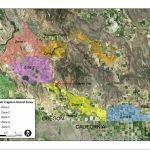 Much of the bills are focused on the C Canal contract and travel to Klamath Falls, Sacramento from New York and driving to Washington, D.C., from New York. For May, Kogan billed $24,750 for 99 hours of work, plus $1,549 for expenses; for June, Kogan billed $29,250 for 117 hours of work, plus $1,265 for expenses; and for July, Kogan billed $14,000 for 56 hours of work. His contract was terminated July 14. Klamath Irrigation District’s annual budget for legal expenditures is $70,000. A bill for Salem-based attorney and KID general counsel Nathan Rietmann has not been submitted.